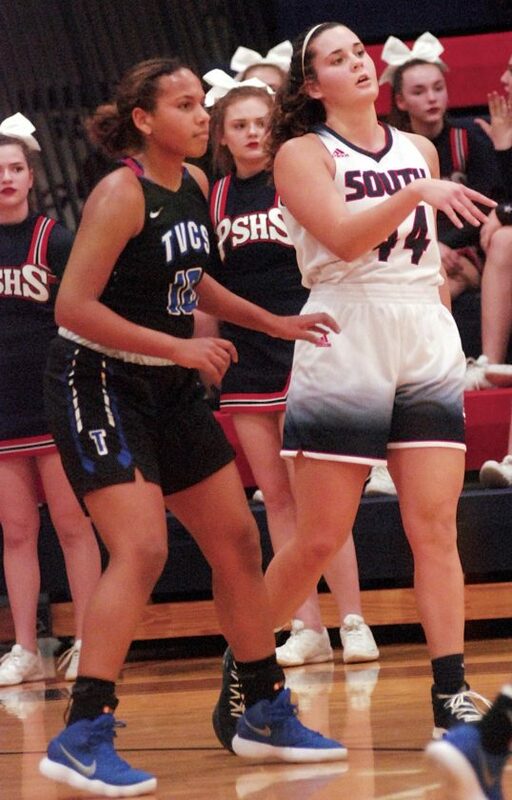 File Photo Parkersburg South’s Allie Taylor (44) prepares to point out a screen to a teammate during the Patriots’ 72-59 win over Teays Valley earlier this season. 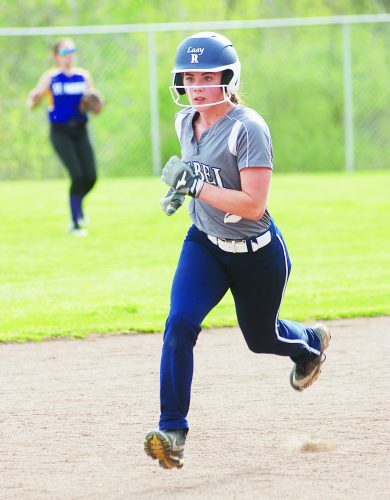 Taylor has stepped up her game to help Parkersburg South to a No. 2 ranking in the state and into state title conversatons. One of my favorite things about sports is the fluidity. Things are always changing from one minute, game, or season to another. This is especially true for high school sports, where graduation is the great equalizer (well sometimes, but in this case the scenario works) and presents opportunities to lower classmen to rise up and shine. 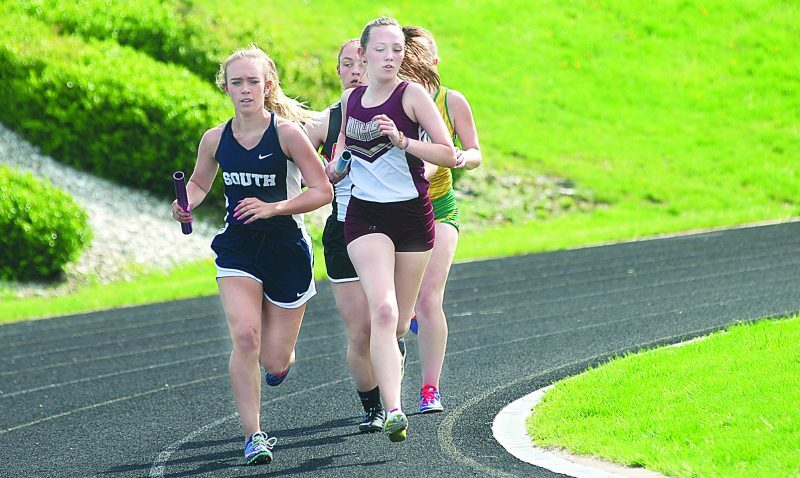 Parkersburg South’s Allie Taylor stands as a great example of taking advantage of said chance. 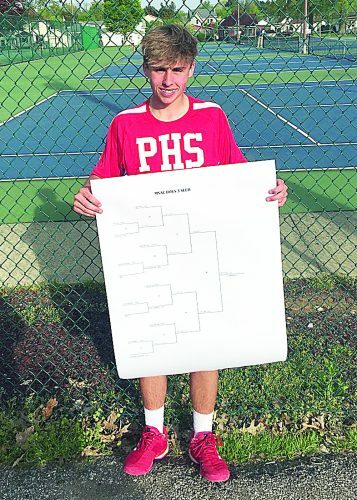 Given the teams the Patriots have had the past four years, getting varsity game time was difficult. Taylor made up for lost time when she finally got on the court last season. 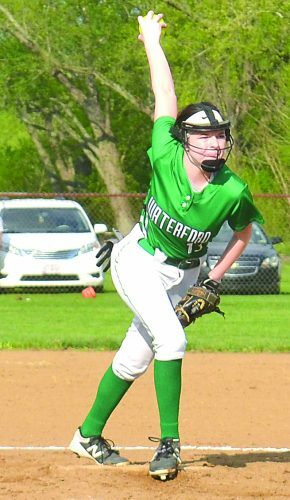 Her rebounding and defense proved invaluable to first-year South head coach Ed Davis, whose team made a (some would say) surprising run to a regional co-final. The senior didn’t rest on a job well done over the offseason. She knew she wanted her senior season to be special after tasting sweet starting minutes on the varsity squad. As mentioned above, cleaning the class and playing solid D weren’t problems for the young lady, but her shooting and scoring weren’t as solid as she would have liked them to be going into her last hurrah. Taylor was more of a role player in 2016-17, getting points where she could, but admittedly deferred to better shooters in then-seniors Lexi Moore and Jordan Johnson. Taylor still isn’t bothered about getting points, but she had the goal to be a multi-faceted threat when her name came up in the opposition’s scouting reports. She also worked on getting quicker on the defensive end and hitting the boards more. All the hard work is paying off. Taylor is scoring 10.8 points per game, grabbing 7.8 rebounds per game, collecting almost two steals per contest and has helped the Patriots to a 13-3 record and No. 2 ranking in the Associated Press poll. Her teammates also have taken notice. One of Hefner’s favorite moves is a little jump shot in the lane, which teams have been ready for this season. Both Taylor and her have lost count of the number of times this season defenses collapsed on Hefner only to see Taylor get a good look and convert off a pass. Sounds like you have achieved what you set out to do at the beginning of the season Allie.